Our new line of Mini-Swords features miniature replicas of several of our full-sized swords, all with fully tempered blades and correctly detailed hilts. 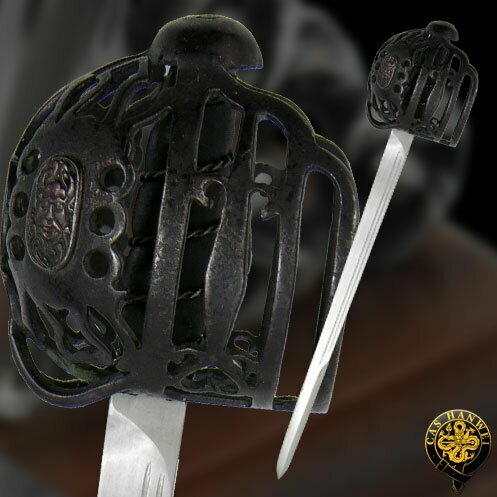 Each comes with an attractive wood and metal display stand with a metal placard identifying the sword type, origin and approximate period of use. Each piece is furnished in a clam shell presentation box and handsome black and gold sleeve, making an exceptional gift.